OTR4309 is a single story 4 bedroom, three bath villa with private pool, located in the beautifully landscaped Orange Tree community. This villa shouts quality from the moment you walk through the door. OTR4309 boasts two separate living areas and a dining room. The modern kitchen is fully equipped with all the appliances that you need for a light breakfast or elaborate family dinner and looks onto the breakfast nook. The family room is delightfully furnished with large comfy sofas which look out on to the pool deck through the sliding patio doors. 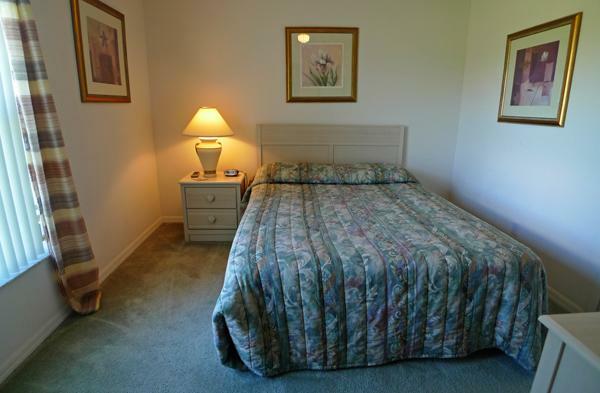 The master bedroom has a king sized bed, a television and doors which lead out to the pool deck. The master bathroom has his and hers vanity units, a garden bath, large shower and toilet. Both twin bedrooms have televisions and share a bathroom. There is also a queen bedroom, complete with television and access to the pool. The pool is a wonderfully relaxing area overlooking a beautiful conservation area. There is a large covered area with patio furniture and privacy screening around the pool deck. 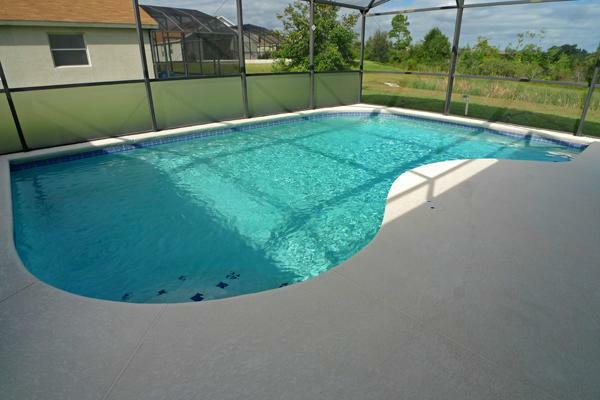 The pool does have an optional heater which can be activated at an extra cost. If the pool is not enough to keep you occupied the games room has only recently been installed and offers pool and darts for guests to enjoy. This villa has free long distance and international calling to many countries and wireless internet access. Orange Tree is just a few minutes drive from a large Wal Mart Supercenter and the restaurants, bars, takeouts and shopping along Hwy 192. Disney is a short drive away and the new Legoland is just a short 25 minute drive south.